Team photograph. 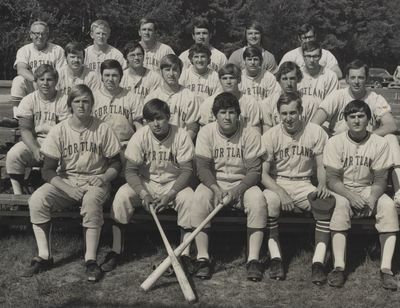 First row: Bob Pultorak, John Anselmo, Fred Ciampi, Marty Brophy, Gary Fields. Second row: Stu Frankel, Joe Staves, Bill Zmudosky, Ken Torrey, Tony Sorrentino, Mark Rotker. Third row: Bob Armstrong, Larry Baxter, Ron Bonagura, Harry Waller, Dale Harris. Fourth row: Coach Bob Wallace, George Gifford, Paul Chartrand, Bob Rider, Manager Tom Seilheimer, Assistant Coach Bob Guarni. Not pictured: John Worthing, Mike White, Ken Miller, Roger Lounsbury, Doug Doyle.